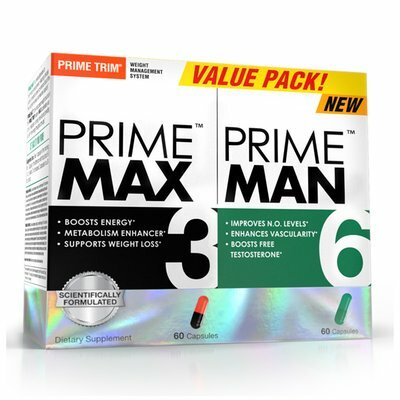 Take 1 capsule in the morning and 1 capsule in the afternoon of each with food and 6-8 fl. oz. of water. 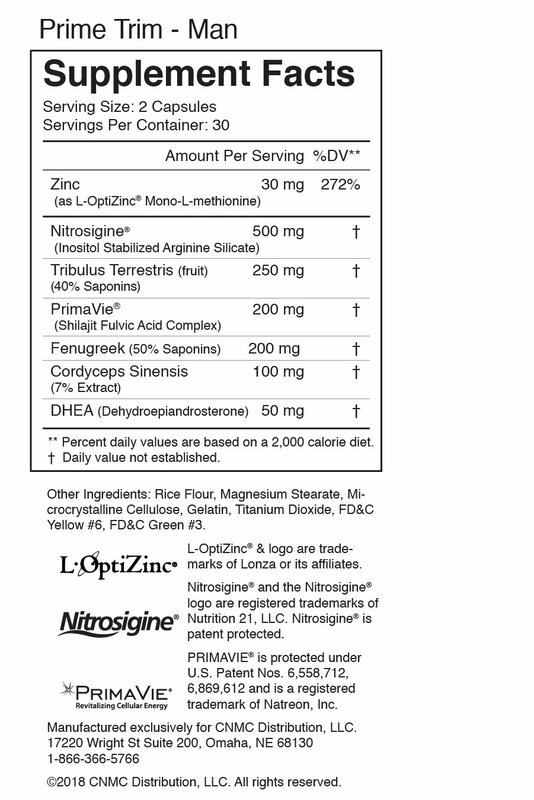 Do not exceed 2 capsules of each in a 24 hour period. WARNING: Do not use if pregnant, nursing, or under the age of 18. Use only as directed. 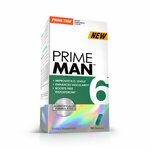 Consult a physician or licensed, qualified healthcare professional before using this product if you have a family history of prostate cancer, prostate enlargement, heart disease, low "good" cholesterol (HDL) or if you are using any other dietary supplement, prescription drug, or over-the-counter drug. Possible side effects include acne, hair loss, hair growth on the face (in women), aggressiveness, irritability, and increased levels of estrogen. 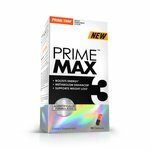 Prime MAX contains approximately 200 mg of caffeine per serving and may not be appropriate for stimulant-sensitive individuals. 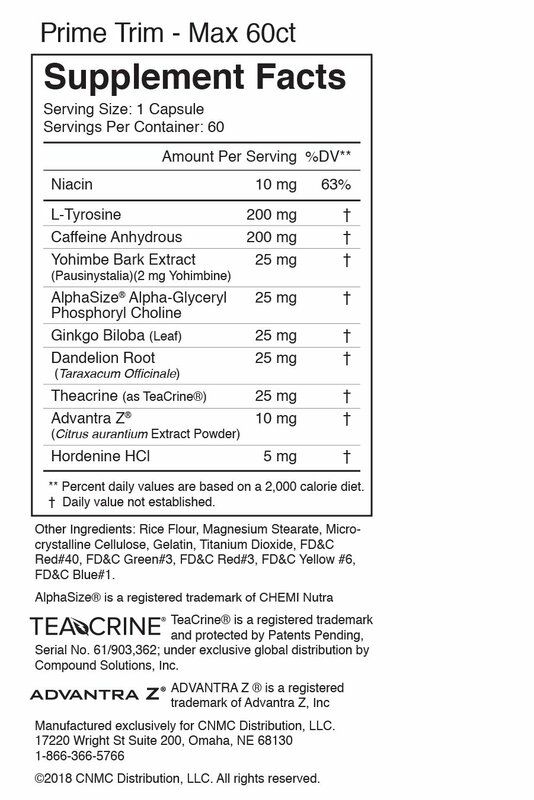 Do not consume with any other stimulants, including caffeine. Immediately discontinue use and consult your doctor if any adverse reactions occur. Do not use if tamper-resistance seal is broken.